With all the air pollution, the UV rays and all the other unfriendly things that our skin is always exposed to makes it extremely challenging for one to achieve or maintain a healthy skin. 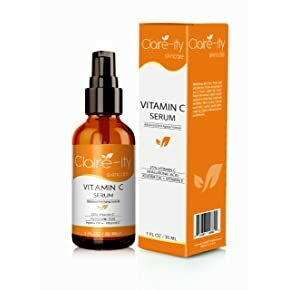 But thanks to this effective topical antioxidant product which not only ensures you achieve a tighter and glowing skin but also a healthy skin; the most hailed beauty product on the market, ‘Vitamin C Serum’! Incorporate this product into your daily routine skincare and I assure you will love every bit of it. But just so you know, there are different varieties of this product on the market, both low quality and high quality, not to mention there are some which might be extremely harsh to your skin type, but this should not stop you from achieving that flawless skin. All you need to do is follow this guide and at the end of it you will not only know which vitamin C serum is best for your skin type but also you will have mastered the tips on how to use the product to achieve the perfect results for your skin! Behold the ultimate guide to a happy and healthy glowing skin……. Yes this product guarantees you a flawless and healthy looking skin, but of course it has both its benefits and side effects, not everything is perfect, there is always a flaw lurking somewhere. But obviously if used as recommended you wouldn’t experience any problems. The benefits that one can reap from this product outweigh the side effects which are only but a few, thus making this product skin friendly. By reducing and also to some extent inhibiting melanin productions, vitamin c serum ensures an even skin tone and eliminates both brown and dark spots. 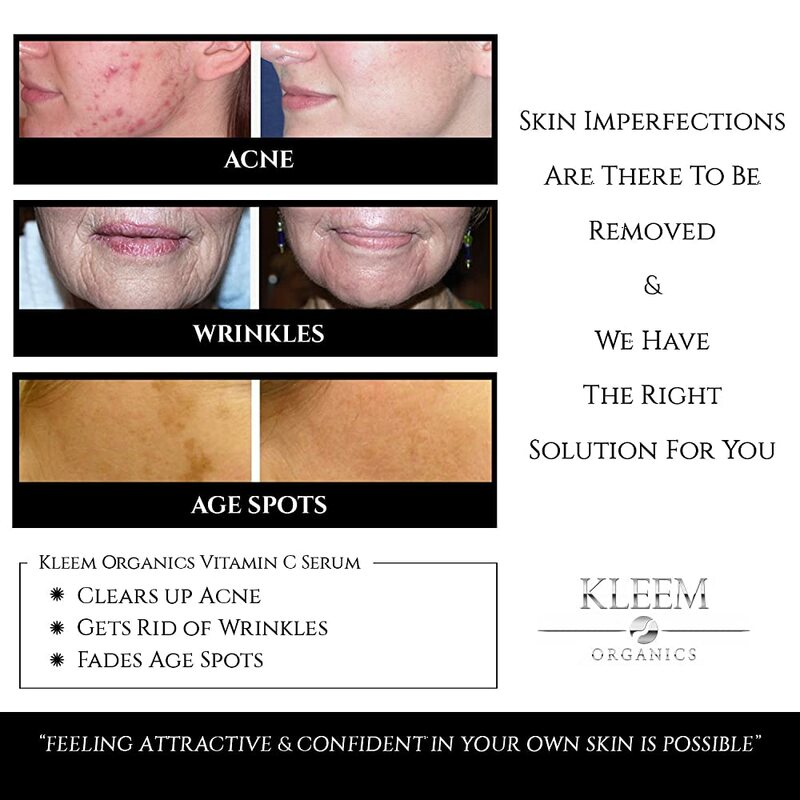 Vitamin C serum ensures you achieve a brighter skin and also forms scar tissues which help to fade and reduce any scars. Our skin may sometimes be overexposed to the harsh sun and also oxygen, this not only causes lots of damage to our skin but also loss of collagen and premature aging. But with the help of Vitamin C serum which is a potent antioxidant, damaged skin can easily be rejuvenated and healed. 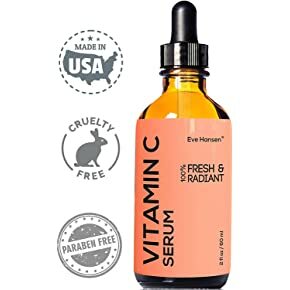 Vitamin C serum contains anti-inflammatory and antioxidant properties that have proven to be extremely effective to reduce inflammation, rosacea and acne scars. This is one of the greatest benefits that one can reap from using this product, and which is also the main role of Vitamin C serum. Our skin needs collagen to stay healthy but sometimes it may diminish due to age, stress, or other environmental factors so it needs our help to generate and boost more collagen production, and that’s where Vitamin C serum comes in. Vitamin C serum enhances collagen production thus ensuring a plump, firm and tighter skin. More so enhanced collagen production prevents wrinkles and saggy skin, thus giving you a younger and youthful skin. This arises from the antioxidant properties of Vitamin C Serum. Due to natural occurring factors that are beyond our control like for example the rays of the sun, our skin tends to be exposed to lots of harsh and unfriendly conditions. But Vitamin C serum ensures that our skin is protected from the sun damage, air pollution and all the environmental germs or toxins. Being a potent antioxidant, Vitamin C serum helps your skin to be more resistant, making it difficult for the UV rays to damage your skin. Although this does not mean you have to stop using your sunscreen! Of course not everyone will experience this kind of problem, because if you pick the product with the right acidity or pH for your skin type then your skin will not experience any irritation after using the product. If you have a sensitive skin then you should always use a product that has mild pH level but not too low or high. Do not start off with strong products if you are a beginner, and if you have sensitive skin then you must consider a product with magnesium ascorbyl phosphate. Perform a patch test before you incorporate the product in your beauty regimen, this will help you know if the product will cause any redness or irritations to your skin. There are varieties of Vitamin C serum with different properties available in the market, but just so you know we all have different skin types with different needs, so what might be good to your friend’s skin might be disastrous to your skin! These are the 7 things you MUST consider before purchasing your Vitamin C serum…..
1. Your Skin Type – As I mentioned earlier we have different types of skin, so you will choose a product depending on the needs and type of skin, not just any product that you encounter on the market. 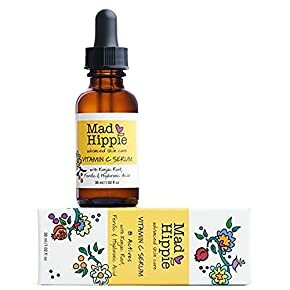 If you have a sensitive skin, then you should consider magnesium ascorbyl phosphate, mild pH levels, and a product with low concentration of Vitamin C. Ascorbic acid works best for both normal and oily skin, but if you have a dry skin then you should go for a product with magnesium ascorbyl phosphate. If you have acne problems, or acne prone skin, then ascorbyl palmitate is best for you. 2. Form – You have to go for a product which has longer shelf life and is highly stable. Ascorbic acid is one of the most common and skin friendly forms of Vitamin C, although it’s unstable it has proven to be effective when dealing with uneven skin, hyper-pigmentation and also stimulating collagen production. But there are other forms and also derivatives which one can choose from depending on the needs and type of your skin. 3. Water-Based or Oil-Based – Water based serums are best known to be more lighter and much easier to use, in addition to that they are more effective. Water-based serums like ascorbic acid tend to be absorbed quickly but they are highly prone to oxidation compared to oil-based serum. The best thing about oil-based serums is that they are long lasting and also less prone to oxidation. 5. Concentration or Percentage of Vitamin C – The higher the concentration of Vitamin C, the more effective or potent the product is. But remember, too low might not just be enough to achieve noticeable results, and too high might be damaging to your skin. But the most recommended concentration especially in ascorbic acid formulated serums is around 15%- 25%. But if you are a beginner, and you are a bit skeptical on which percentage to use, then you should start with a product which has 10% with a form that will not irritate your skin depending on your skin type. 6. 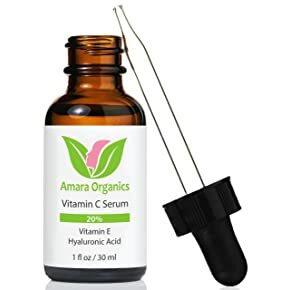 Packaging – Being highly a photosensitive and oxidative product, Vitamin C serum tends to be easily affected by air and light, which is why you should select a product that is packed in an opaque and air tight bottle to ensure a longer shelf life or to prevent any harm to your skin. 7. Additional Ingredients – Look out for any added ingredients in the serum that you want to purchase to know if you are allergic or sensitive to any of them. The added ingredients provide extra benefits for your skin and also boost the effectiveness of Vitamin C serum to your skin. The most common additional ingredient is hyaluronic acid which moisturizes your skin and also helps to prevent wrinkles. When it comes to rejuvenating your skin this product guarantees you of that, do not hesitate especially if you have sensitive skin, if you are tired of breakouts each time you use a new product, then you should definitely get this product ASAP! You do not need tones of makeup to make your skin look bright, you do not need concealers to hide those wrinkles and spots, no, not anymore, all you need is this product which has been formulated with organic and natural ingredients to permanently get rid of all the redness, spots, wrinkles thus giving you a youthful look. The concentration of Vitamin C in this product and the pH level is perfect for ensuring high potency. More so the added ingredients in this product helps to keep premature aging at bay and also protects your skin against damaging free radicals thus ensuring you achieve a healthy and plump skin. If you have sensitive skin this product is definitely for you! Might cause irritation due to the high percentage of Vitamin C, so it’s advisable that you do a patch test on your wrist before starting off with the product. When it comes to reducing wrinkles and fighting against premature aging, this is definitely the product you should be looking for! Users have admitted that this is game changer in their daily skincare routine especially when it comes to reducing wrinkles and fine lines. If you struggling with those dark circles under your eyes, then it high time you start using this product to help you even out your skin tone since this product has been included natural and organic ingredients. I would recommend this product to people with dry skin due to the fact that it has hyaluronic acid which is best known to act as a moisturizer. Get rid of flaky and patchy skin with the help of this product! Your dry skin needs moisture, and this product offers just that. If you want an evened toned skin with that healthy glow, then look no further, because your search ends here! The added ingredients in this product boost the effectiveness of Vitamin C serum to your skin, ensuring that you achieve a soft and glowing skin. What users love most about this product is the ability for it to help them achieve an even toned and glowing skin. So if you want that healthy glow, this is the product you should be using. You do not have to worry of the product losing its effectiveness after using it for some time, because this product is more stable, thus ensuring it last longer. If you still want to put your makeup on, this product creates a perfect texture to help you apply your foundation because it’s thin and very light. This product is ideal for acne-prone or oily skin, due to its perfect derivative which is known for lessening acne lesions, redness and also inflammation. Want a soft and healthy glow but have an acne prone skin, this product offers you the solution! Say bye to those scarring acne scars and hyper-pigmentation, it’s about time you get that clear and smooth face, make it happen with the help of this product! The powerful and great additional ingredients included in this product have proven to be the best when it comes to fighting against acne skin problems. Although I wouldn’t recommend this product to sensitive skin, because it has low pH which means it has high acidity which could cause reactions to sensitive skin. Rejuvenate your skin and achieve a youthful look with the help of this product! The organic and antioxidant ingredients included in this product helps to keep wrinkles and premature aging at bay, thus making your skin look younger throughout. This product boosts the ability of your skin to retain moisture thus keeping your skin flexible, and hydrated. The natural ingredient included in this product is also known for its anti-inflammatory properties thus soothing redness and inflammation on your skin caused by free radicals. If you have normal or oily skin, and you are looking to achieve a smooth skin free from any wrinkles or aging signs, then this product is worth spending your money on! 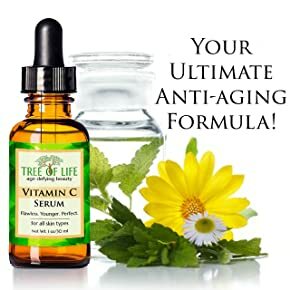 This product offers a higher concentration of Vitamin C compared to other products on the market, making it the best anti-aging formulation that you could ever find on the market. If you want to get rid of any aging signs and wrinkles, then this product is worth giving a try! The most outstanding feature of this product is its high concentration of Vitamin C, making it produce faster and noticeable results within a short time of usage. The additional ingredients included in this product ensure that your skin is protected from free radicals and also helps to heal and repair damaged skin within a short time of usage. This product can be used on all skin types except on sensitive skin. 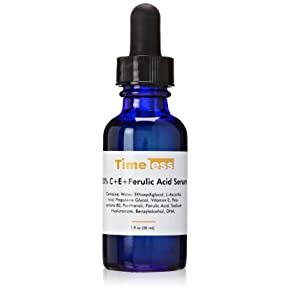 If you are looking for a product that will deliver faster and better results, then you should immediately switch to this product, because this is your ultimate Vitamin C serum! Revitalize and transform your skin with the help of this product! The premium and natural ingredients infused in this product help your skin to be resistant to any free radicals thus keeping any inflammation at bay. You do not have to worry of any discolorations, wrinkles or fine lines; because this product has been formulated with ingredients to help you combat hyper-pigmentation while making sure that your skin retains moisture thus giving you a plump and supple skin throughout. 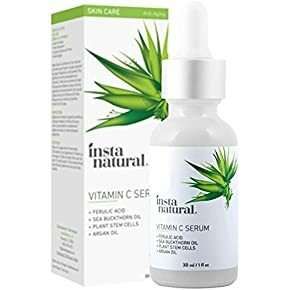 More so this product is best known for reducing and combating skin discolorations and wrinkles due to the fact that it has high percentage of hyaluronic acid which helps to also improve the effectiveness of Vitamin C serum to your skin. The natural ingredients infused in this product helps to shield your skin from the UV rays and any pollutants and also help in evening out your skin tone thus giving you a youthful glowing skin. The best thing about this product is that there were no any complains of breakouts from its users making it recommendable to all skin types. Few users complained of color variations, but this may be attributed to storage or maybe packaging. This product has the lowest concentration of Vitamin C compared to other products on the market making it the perfect product to be used on sensitive skin. It’s a gentle but powerful product! 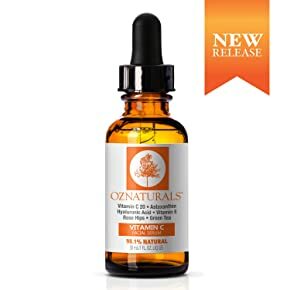 With the lowest concentration, this product is the gentlest Vitamin C serum that one could ever find on the market, so you do not have to worry about experiencing breakouts, irritations or redness. What users love most about this product is that it doesn’t live their skin dry, but instead it helps their skin stay hydrated. The active ingredients included in this serum are not only super gentle to your skin, but also do not live your skin looking greasy or oily. The fact that the formulation is lightweight makes it much easier for the serum to be quickly absorbed by your skin. If you are person who is tired of battling irritations, breakouts or dryness, give this product a try and save yourself from the damage caused by harsh products! Wondering how you can achieve an even and brighter skin tone? Well this product has got all the answers you are looking for! Hyper-pigmentation, scarring acne scars and sun damage, all can disappear only if you incorporate this product to tour daily skin care regimen. Users with oily, acne prone skin and also sensitive skin admitted that this product did not cause breakouts, irritations or dryness to their skin compared to other products they have used thus making this product recommendable to all skin types. But this does not mean that you skip the patch test, absolutely no! Always do a patch test especially if you know you have sensitive skin. The premium and quality natural ingredients included in this product helps to retain moisture in your skin thus keeping premature aging and dryness at bay. Complains from users of the product taking a longer time to completely dry off. Looking for a highly effective product that will clear those deep acne scars and those dark or brown spots? Look no further because this is the ideal product for you! 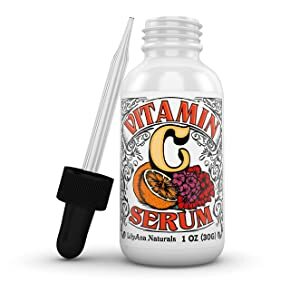 As the name of the product implies, it has a very high amount of Vitamin C compared to other products on the market, thus making this product highly potent, but this is not the only special thing about this product that has gotten its users hooked up. This product has been incorporated with unique and natural ingredients which do not clear aging signs and wrinkles temporarily, but ensure you achieve a long lasting effect after using it. This product can be applied on all skin types except on sensitive skin, since it has an extremely high amount of Vitamin C which might cause irritations or redness if used on sensitive skin. If you want to get rid of aging signs and wrinkles faster, then do not hesitate on purchasing this product. It’s time for you to bid goodbye to dry and flaky skin, because this product has come for no other, but you! This product is best known for combating dryness, patchiness, and flakiness due to its excellent moisturizing and hydrating ingredients which helps to retain the moisture in your skin. The best part is that it can be used on normal and also dry skin. But I would definitely not recommend this product to anyone with oily skin, because it has some added ingredients which are not friendly to oily skin. 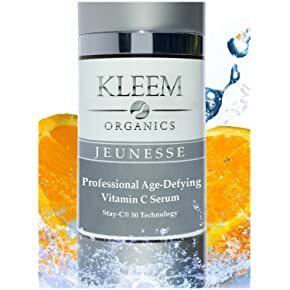 The premium and unique added ingredients in this product do not only provide extra benefits to your skin, but also ensure that your Vitamin C serum is effective and gets deeply absorbed in your skin. The product easily oxidizes, so you must be cautious. Fear of premature aging? Well this product is here to help you fight against you worst enemy! This product has been formulated with the best ingredients which are specifically known for preventing any aging signs and also reducing wrinkles, ensuring you achieve a plumpy and supple skin. The powerful ingredient infused in this serum not only helps to reduce hyper-pigmentation but also prevent any occurrence of dark spots. With this product you do not need concealers to hide those acne scars, because this product permanently fades acne scars and dark spots, giving you an even skin tone. If you are struggling with acne, then this product is definitely worth trying, because this product has been formulated with unique ingredients that help to prevent any breakouts, inflammations and also protect your skin from free radicals. Users have not reported any reactions or irritations after using this product, making it suitable for all skin types. Some users complained about the smell, but it disappears after some time. Start off with a fresh and cleansed skin, to ensure deep penetration and absorption of vitamin C serum. You may choose to wash you face or use a toner to clean it, but if you use a toner you must wait for it to be completely dry before applying your serum. Let your skin be slightly damp after washing it. Using clean fingers, apply the Vitamin C serum over your slightly damp face and also don’t forget the neck, massage your skin slowly and gently then chill for a few minute for the serum to dry. Apply your moisturizer, to help seal in the serum. Your serum should always go first before adding any other products or creams to your skin. Repeat this process on a regular basis for noticeable results. Q: How much and how often should one apply Vitamin C serum? A: Follow the instructions indicated or directed by your product, but it’s always advisable to use two or three drops, if you do not have a sensitive skin then you may use the product twice a day. Q: Can one apply this product around the eyes? A: It is always used around the eyes to reduce wrinkles, but you must be extra careful while applying it around that area. So yes, it can be applied around the eyes but with a lot of caution. Q: How can one tell if their Vitamin C serum has oxidized? Q: How can one store this product? A: Most users prefer storing their product inside a refrigerator, which is a great idea. But it’s not advisable to store your product in a place where it can be exposed to direct sunlight. Q: Can one use this product under makeup? 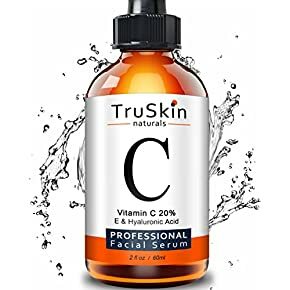 Our skin is the most important part in our body, it enhances our appearance and beauty, which is why it must be protected at all cost, and this can be done by using Vitamin C serum. 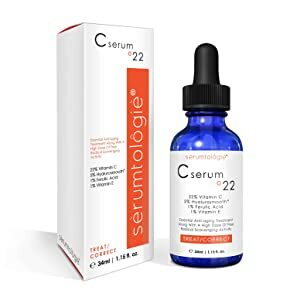 Make a wise choice, listen to the needs of your skin, rule out the product that works best for your skin type and then make your pick from the above list of the 12 Best Vitamin C Serum available on the market. You can only but achieve a happy skin with the use of the right product, so choose wisely!